I decided to give one of these automatic oilers a try. I purchased the vacuum operated, Ducati red version. As we all know, red would be the best. It took me while to decide if I wanted to have some gonkus monstrosity strapped to the frame with zip ties and exposed tubing. I was afraid of spoiling the look of the bike. So far, I'm good with it. Here in the US, we get a bonus canister to collect fuel vapor. 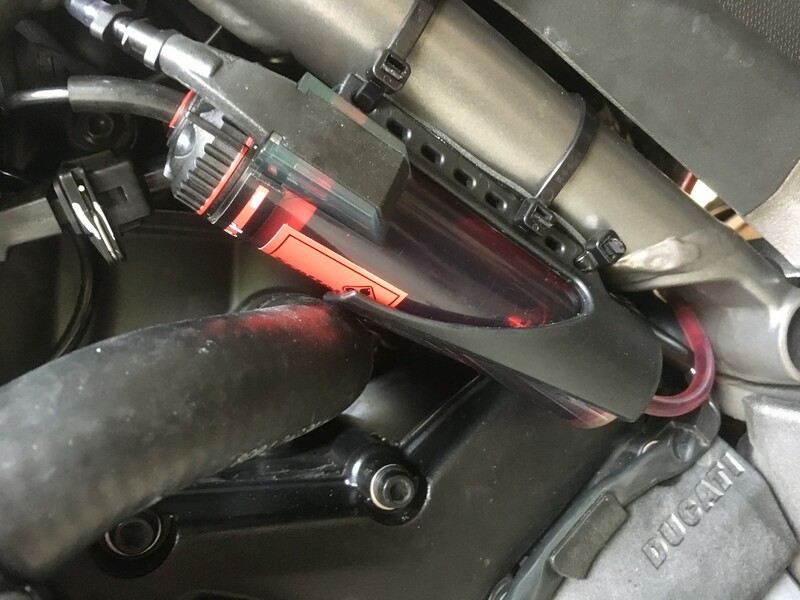 It's the best place to get to a vacuum line to open the oiler while the bike is running. That pic is just below the tank on the left hand side. The kit supplies a tee fitting. Just need to cut the vacuum line to the canister and PCV valve from the two intakes, insert the tee, and tube everything up. 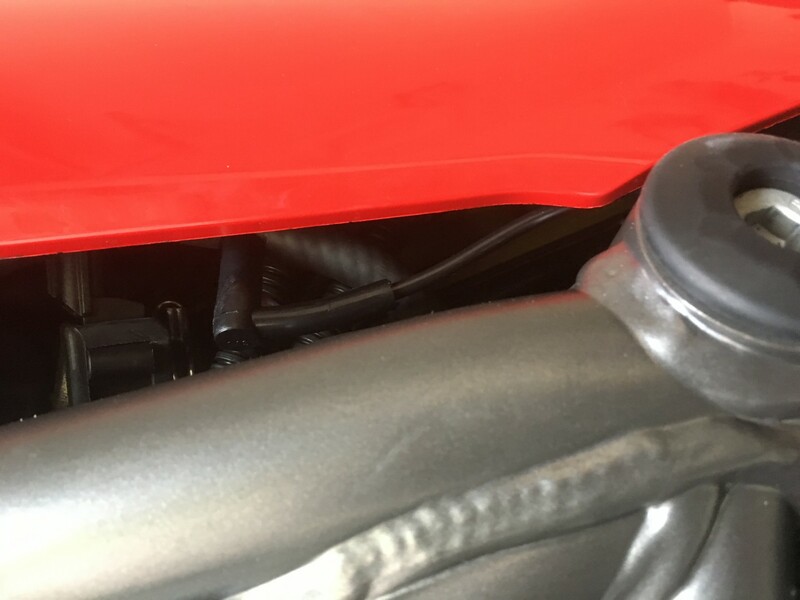 A dampener is supplied (small black "L" fitting in the pic) to source vacuum for the oil tank valve. 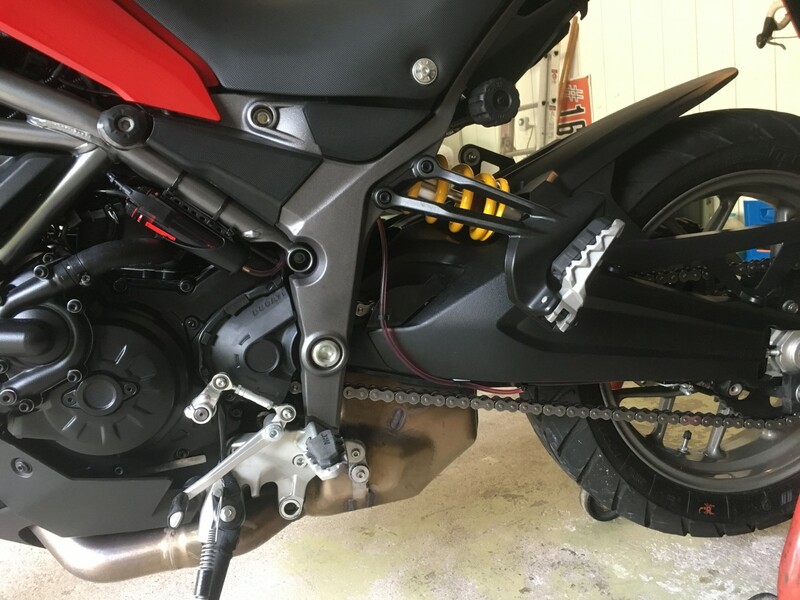 I tried to be as discrete as possible routing the oil tube to the rear sprocket. The kit has everything you need to set up the applicator. It works as advertised. I commute 500-600 miles per week, and I'm hoping this helps me keep the chain in top shape. just in the middle of doing mine, how did you get to the pipe to cut and insert the t piece? 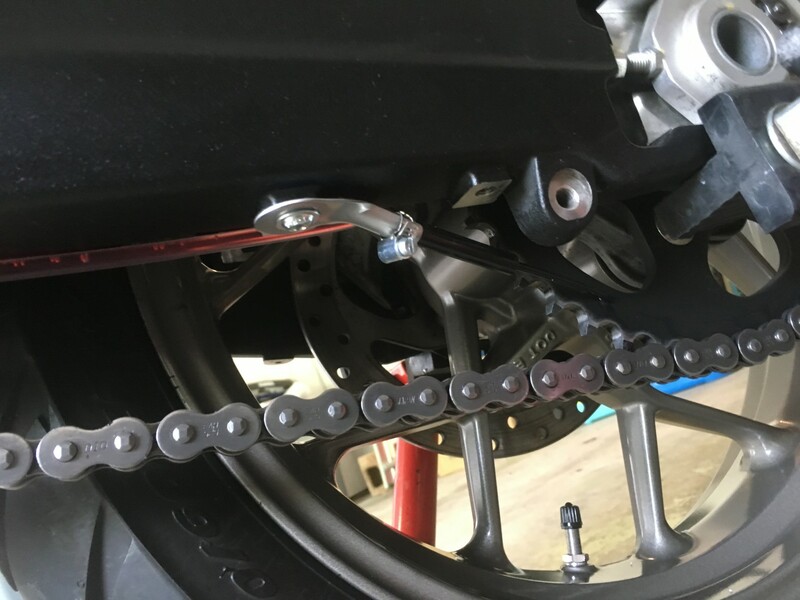 Do you have a better pic of the one to cut and has you chain come into contact with the delivery pipe running under the swingarm? How are you getting on with the V system ? My dealer in the U.K. said that Ducati recommended the E system hence that's what I have fitted and it works very well. My only issue is with the adhesive pads not sticking to the swing arm. It is working for me. While the chain is maintained as I had hoped in the last 1200 miles, the flung oil is a bit messy on the rear wheel. Much easier to clean up than thegrime from chain sprays, though. I suspect the E system would be a better option, as the V is more of an "on/off" flow control. Either no oil or more than is necessary. That is my only complaint. I'm still glad I added it. I commute in rain often, and this has eliminated a good bit of clean up and re-oiling from my daily routine. 'E' is more controllable but there's always going to be mank on the wheel and the back of the number plate etc. 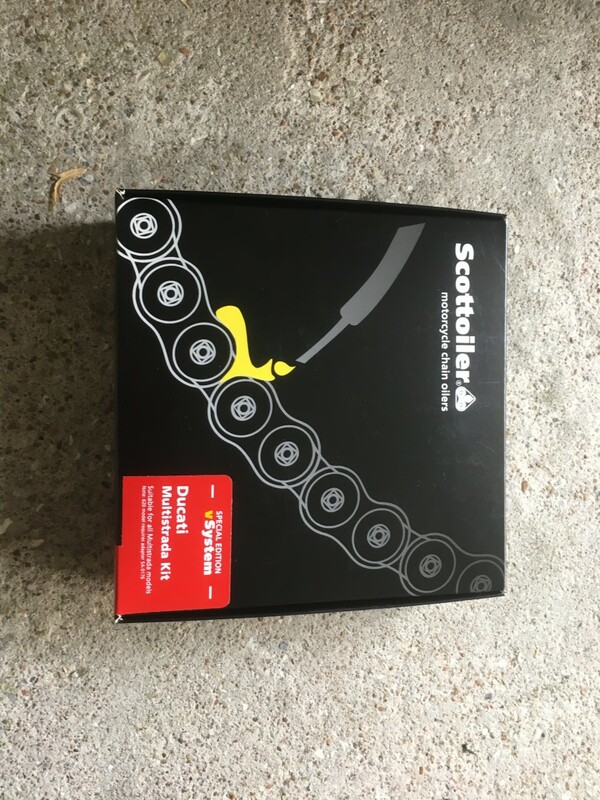 I also periodically put lube on the chain side plates as the Scotoiler only feeds onto the rollers. Mank. I like that word lol. Not one I here often here. What I like about the mank is it cleans up quickly with a little detergent. Oiling sprays seem to cling for life. The chain has stayed remarkably clean. I'd appreciate more details on where to insert the T piece, do you have a better picture?